Is snow in the forecast? Hang your downhill or cross-country skis and poles close by so you’re always ready to carve a new path. 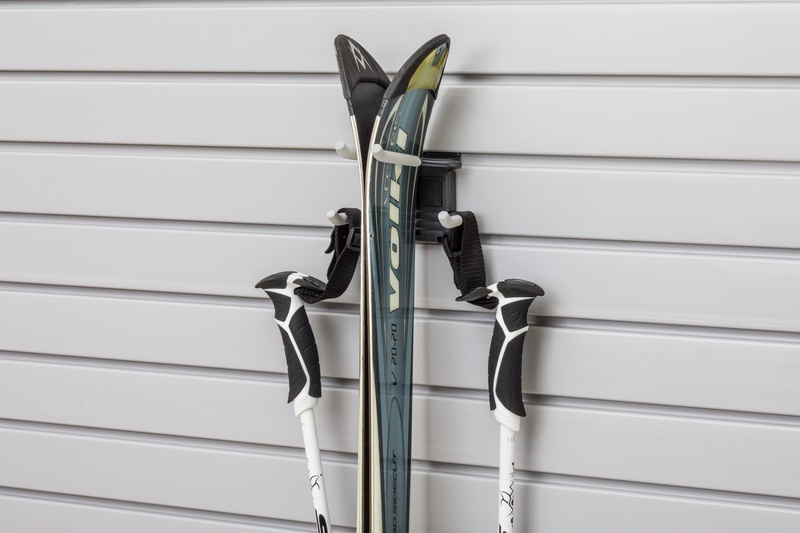 Hooks store skis and poles upright and off the floor.